What are the Market hours, location and dates for the 2016 season? The Market will be held every Saturday morning from the from May through September on Carmel’s Center Green, located adjacent to the Palladium concert hall. Hours are 8 to 11:30 AM. How many people attend CFM? During the 2014 season, more than 80, 000 people visited our sixty-four Vendors. What products are permitted for sale at the Market? 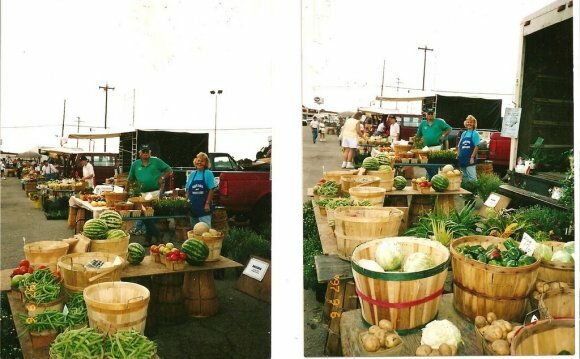 • Only Indiana-grown or produced agricultural products may be sold at the Market. A rare exception may be made for agricultural products that are not grown in Indiana. • NO CRAFT ITEMS OF ANY TYPE ARE ALLOWED. Are there other facts about the Market I should know? • Vendors must reside in Indiana. • Vendors who sell or sample any food for consumption on-site must have a seasonal vendor permit from the Hamilton County Health Department. • Foods prepared off-site must be made in a certified kitchen. • All vendors must provide proof of insurance. • Vendors must grow and/or produce themselves at least 50% of everything sold at the Market. Products may not be purchased from any type of middleman. • Vendors must provide all their own equipment, including a 10’x10′ canopy and tables. • We rarely accept weekly vendors. • Vendors must agree to be at the market for the entire season. What are the details in regards to new vendors for the 2016 season? • Vendors from the 2015 season, whom we invite back, will choose their spaces for the upcoming season prior to our annual vendor reception in late January of 2016. • Once those vendors have chosen their spaces, our New Vendor Selection Committee will review the number of spaces we have open for new Vendors to be added. They will analyze what we need at the Market in the way of product … what we have too much of, what we don’t have enough of, etc. • New vendors will then be selected based on the entire range of products they wish to sell at the Market. Those that are selected are given their contracts to sign in early March. Vendors are not selected on a first-come, first-served basis, but only on the basis of what we need or don’t need in the Market to keep it fresh, interesting for the visitors and profitable for our vendors. • At least 50% of the products sold at the Market must be grown and/or produced by the Vendor. The remainder can only be purchased directly from another grower. No products sold at the Market may be purchased from a middleman such as a commission house, food broker or auction. Farm visits will be made prior to and during the growing season and receipts for purchased produce may be requested. • Cost for the full season is based on the size of space you select. The 2016 cost has not yet been set. However the current cost ranges from $130 for the smallest space to $230 for the largest space. With few exceptions do we permit weekly Vendors. • Vendor spaces range from 20’ x 20’ to 40’ x 30’. Your vehicle may be parked in the space, but only if it fits completely within the space itself and no part of it, including trailer hitches or tongues, falls over the line into an adjoining space. • If you plan to cut, pierce, cold hold or hot hold any edible product you must have a seasonal vendor permit from the Hamilton County Health Department. • The 2009 Change in State Law notwithstanding, if you prepare any food off-site to be sold at the Market, that food must be made in a certified commercial kitchen. This includes baked goods. You will need to provide a health department certified kitchen inspection from the county in which your certified kitchen is located. If that kitchen is in Hamilton County you will need to have an inspection by the HCHD. • Vendors must provide proof of adequate insurance coverage prior to the beginning of the season along with all other required permits.